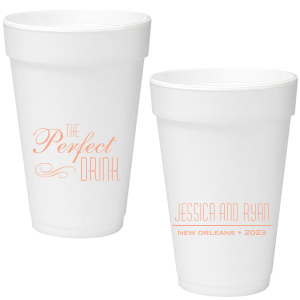 Give their engagement party an added layer of personalization with custom designed 16 oz foam cups. 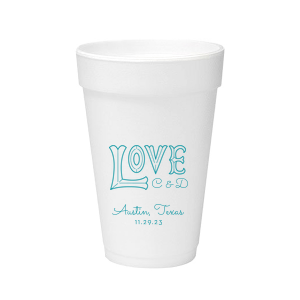 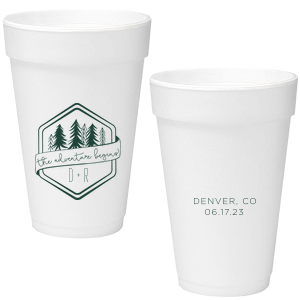 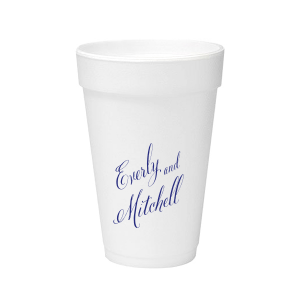 Perfect for hot or cold drinks, your hospitality will be on point with personalized engagement party 16 oz foam cups! 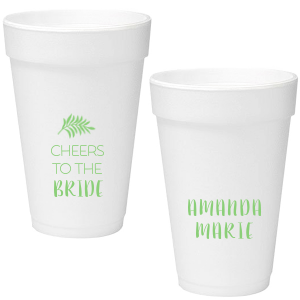 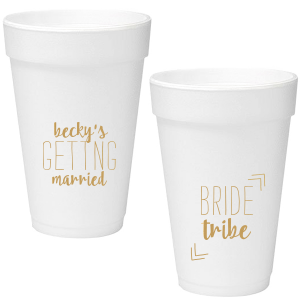 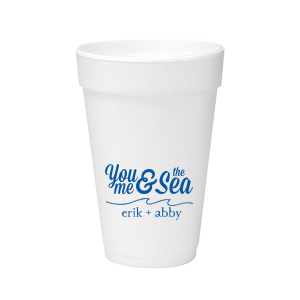 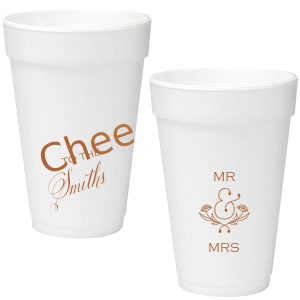 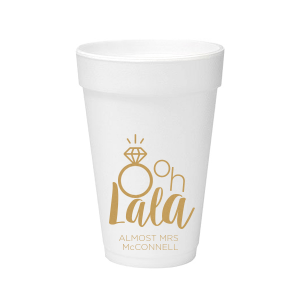 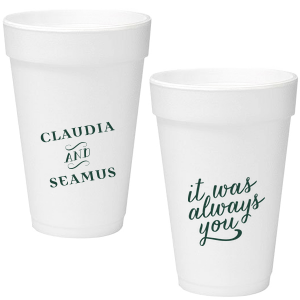 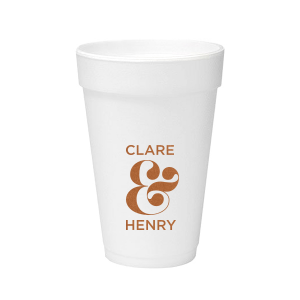 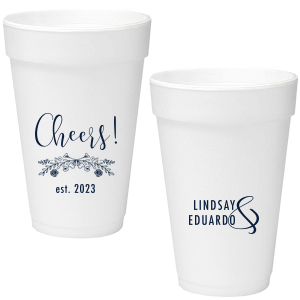 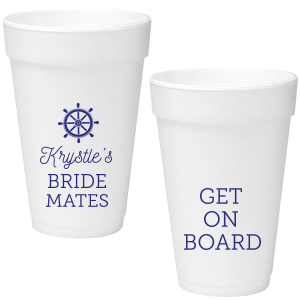 Say cheers to the soon-to-be bride and groom with personalized engagement party 16 oz foam cups. 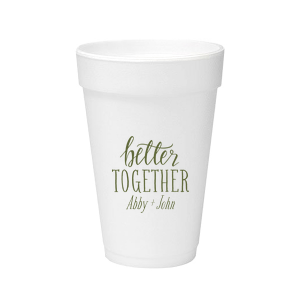 Perfect for cold or hot drinks, your hospitality bases are covered with custom designed 16 oz foam cups for your engagement party planning. 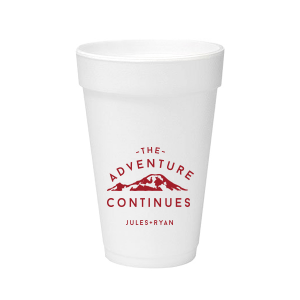 Concerned about the environment? 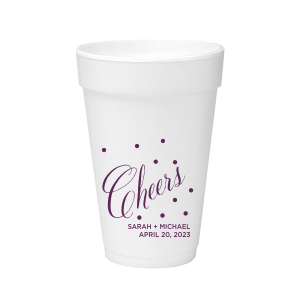 Your personalized engagement party 16 oz foam cups are recyclable. 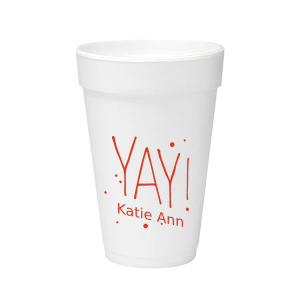 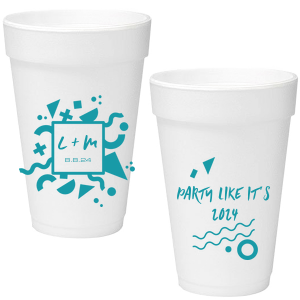 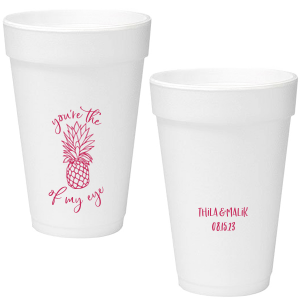 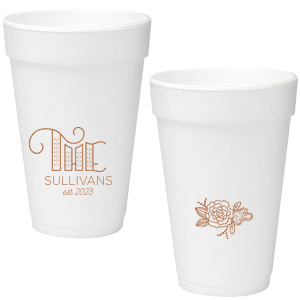 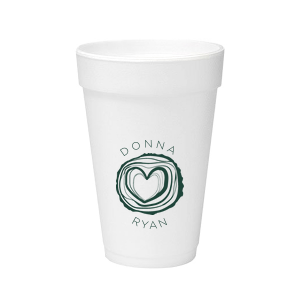 You’ll love how easy it is to create truly personalized party 16 oz styrofoam cups with the FYP customizer. Create the perfect custom designed 16 oz engagement party foam cups today!